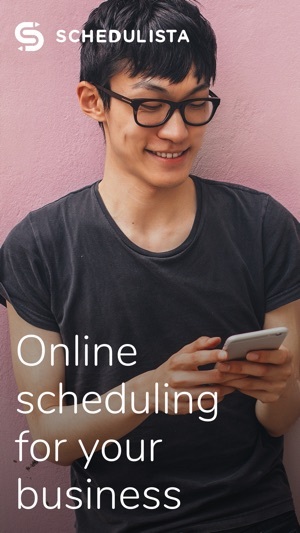 The Schedulista service provides easy online scheduling for your business, letting your clients book right from your website, 24-hours a day. This booking app is a lightweight companion to the full (paid) web product. 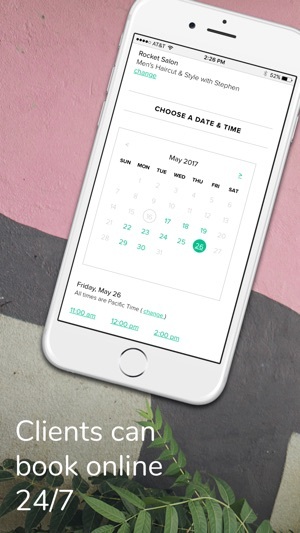 With the Schedulista appointment booking app, you can bring your schedule with you, book appointments online, manage your calendar on the go and contact your clients. Clients can schedule appointments anytime, anywhere and from any device. Clients receive email confirmations and appointment reminders. Free unlimited SMS/Text message reminders. Manage your whole team. Per user logins, access levels, notifications. With secure credit card capture, you can charge for no shows. Credit card capture can be set up for all services or for an individual service when clients book appointments. Create repeating appointments, overlapping appointments. Block out lunch. Specific start times, set up clean-up time. Tailored specifically for the services you offer. Ask clients for a variety of information necessary for their appointment, as well as inform them about your business, services, and/or scheduling policies. You or your client specify a location for the appointment. Clients can schedule house calls. Businesses can offer events or services at alternate locations. Choose when you work. A regular schedule or a custom schedule decided on the fly. Your online booking page will always be up to date. Schedulista can synchronize with Outlook, iPhone, or Google Calendar via our unique 2-way Google Calendar Sync. 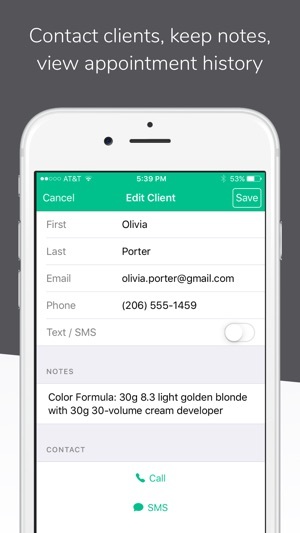 Export / Import all your client data and share with just about any product. Also, Schedulista integrates directly with MailChimp. Schedulista has built-in reports that give you detailed information about your clients and the performance of your business. Overall I enjoy the service and clients appreciate the ease of setting up appointments. 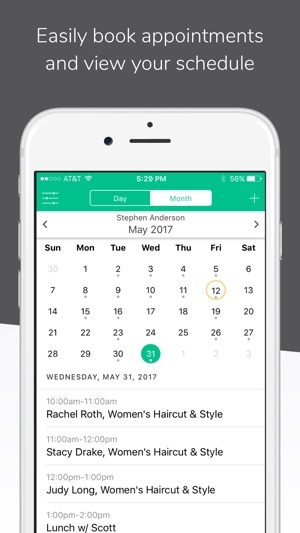 As an owner of a busy barber shop, it can be frustrating, because while some stylists can be slower than others, schedulista only allows the entire business as a whole to operate on the same appointment duration. So if I want to take clients every 30 minutes, while a slower coworker needs to book out at 45 minutes, there’s nothing I can do. I have to take clients every 45 minutes so that the other barber doesn’t get behind. Waste of time and money for myself and other faster stylists, by being forced to limit our clientele volume to accommodate slower stylists. Service times should be set up individually per stylist, not as a whole. Also the app interface was quicker and much simpler to use before...sure it looks nicer and some much needed updates and services were introduced, but could be so much more intuitive and responsive. This service offers more strengths than weaknesses, but the weaknesses can be extremely limiting to a busy salon environment. Thanks so much for the review and feedback! You are able to set separate appointment times and durations for each provider and the services they offer. Feel free to contact our support team directly and we'd be happy to walk through setting this up. Great app! 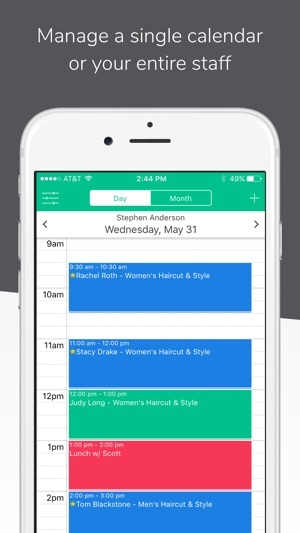 I have an appointment based business, and I discovered Schedulista about a year ago. It has made my life so much easier. My clients can schedule, reschedule, or cancel their appointments themselves. The biggest plus is that I no longer spend an hour at the end of the day reminding people of their upcoming appointment bc Schedulista does it for me, which is a huge time saver. I set my own hours and can block out time if I need to. I love being able to see all my appointment/client data in one place. It’s easy to use on the laptop as well as my phone. Very happy with this app. That's wonderful to hear. If we can help just get a little more time back for you, then we've done our job. Thanks for the review! I love Schedulista! As a sole employee of a busy private practice clinic, this app and website have saved my business! My patients love the ease of being able to schedule themselves. I love not needing to leave an exam to answer the phones! The app could be slightly more user friendly I feel but it’s not too difficult to navigate. I do wish that the app were set up the same as the website. When I get in a hurry I forget they are set up to schedule slightly different. I prefer the website over the app but on the go, this app is a wonderful tool! Thank you!